Bottle Drives help collect empty water bottles from the school’s cafeteria to clean, sterilize, and reuse in building Portable Gardens to grow greens. Standard 16.9 oz/500mL water bottles are what make up the Portable Gardens. 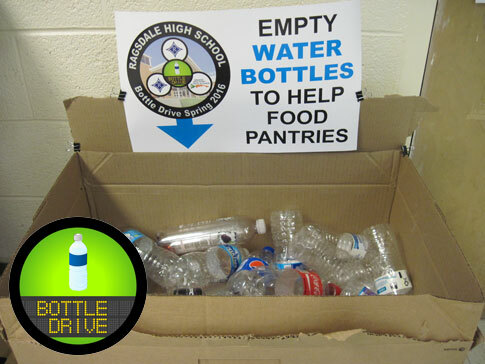 Bottle Drive from Ragsdale High School’s cafeteria. 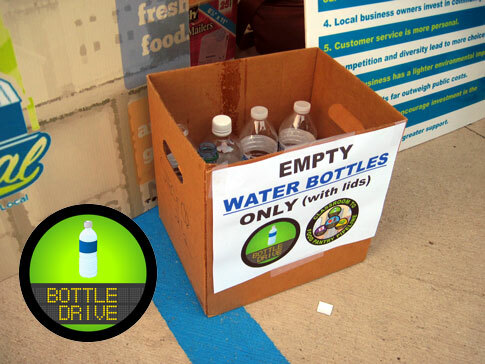 Mini Bottle Drive at Greensboro’s City Market. Contact us if interested in taking part.